Strong headwinds followed by the wind dropping off in the harbour, has pushed back arrival times for the remaining five teams into Sydney. IchorCoal, which was due in just ahead of midnight last night, ended up taking almost eight hours to cover its final 15 nautical miles. 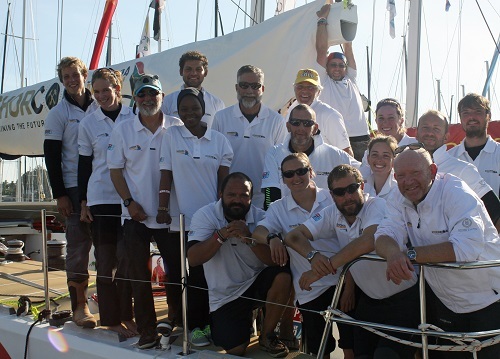 After drifting in the harbour, with the finish line in sight, the team finally crossed the finish line at 1955 UTC (0655 local) in bright sunlight, taking eighth position. 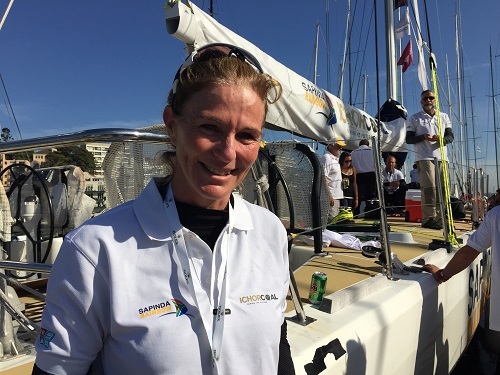 After getting on the race in Cape Town, crew member Nicolette Horak, 44, will end her journey when she sails into her home region, the Whitsundays in mid-January. She says: “Being part of this team has been an incredible experience. This is a group of truly fantastic people and I’m really enjoying being part of such a large team. Due to the continuing light headwinds that are frustrating the progress of the fleet the Race Director has decided to collapse the fleet from the back, with the two teams furthest from Sydney, ClipperTelemed+ and PSP Logistics accepting eleventh and twelfth places respectively. Da Nang – Viet Nam and Derry~Londonderry~Doire will continue to race, but the Race Office will monitor their progress closely. Although only 44 miles from the finish line as at 2300 UTC 13 December (1000 AEDT local time 14 December), these teams are currently estimated not to reach the finish line until this evening local time. Under motor ClipperTelemed+ is estimated to arrive in Sydney around 1500 UTC 14 December (0200 AEDT 15 December) and PSP Logistics 0000 UTC (1100 AEDT local) 15 December. Click here to see all the latest updates on remaining team ETAs.